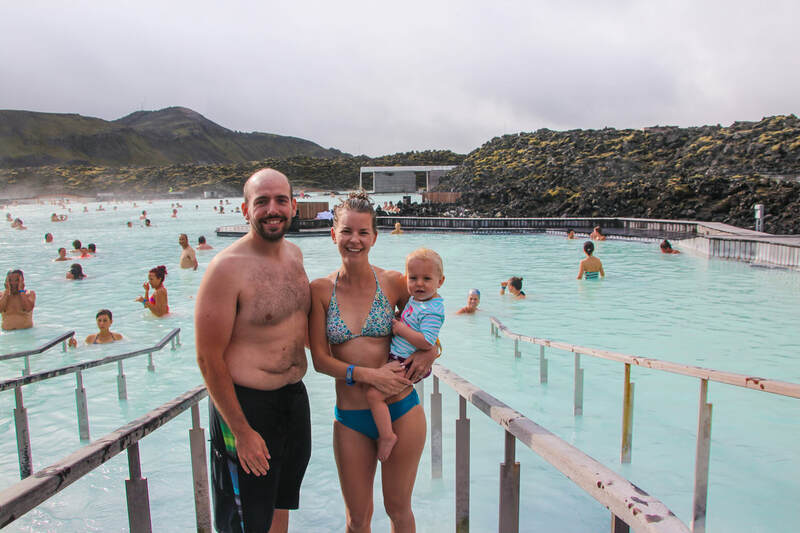 In order to try and cut costs in notoriously expensive Iceland, we opted to stay in a vacation rental, basing ourselves in Reykjavik for the 8 days and taking day trips outside of the city to explore. We were able to find a great deal on a 2 bedroom apartment that was family friendly - with baby gates, some toys and travel cot provided. We brought our Guzzie and Guss perch high chair with us, which packs up small but allows our daughter to sit up at the table with us. We love having our own vehicle when we travel in order to explore new destinations at our own pace. 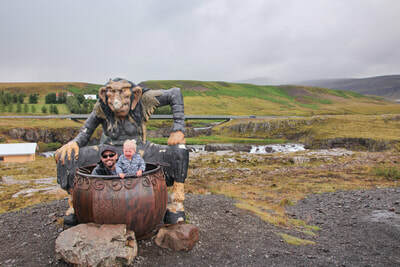 The fact that many of our must see locations, as well as the Keflavik airport, were well outside of the city center, made having a rental vehicle almost essential. 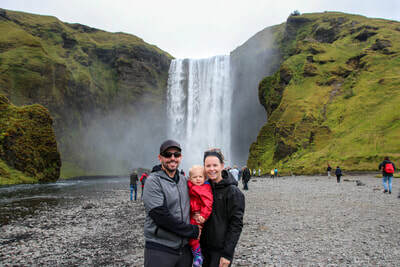 Vehicle rentals are more expensive in Iceland than in continental Europe and North America but we saved where we could by renting a small, fuel efficient manual transmission vehicle through a rental broker. We have had great luck doing this in the past and weren’t disappointed at all. 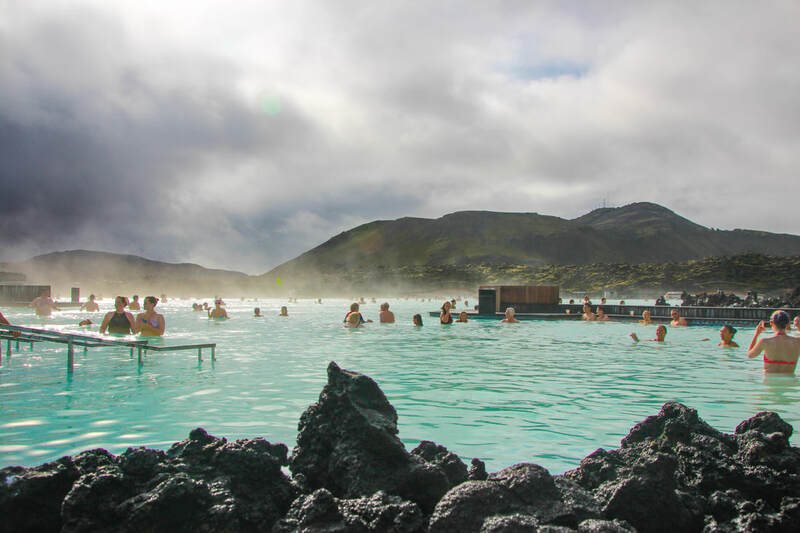 ​Check out our post on Money Saving Tips for Iceland to see other tips on how to plan a budget friendly trip! 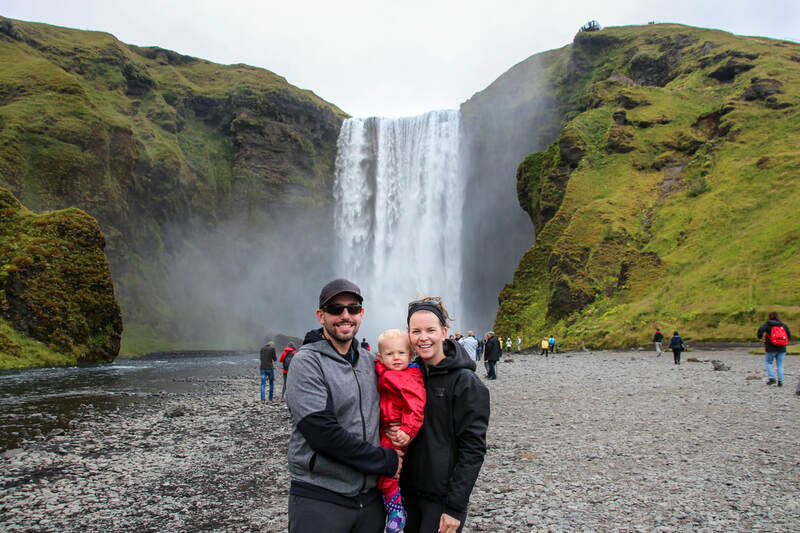 While we usually try and pack as little as possible a few factors about our trip to Iceland made us take advantage of our full luggage allowance. The first is that we were staying at one accommodation for our entire trip which meant that we weren’t going to need to pack, unpack or transport our luggage from one location to another. 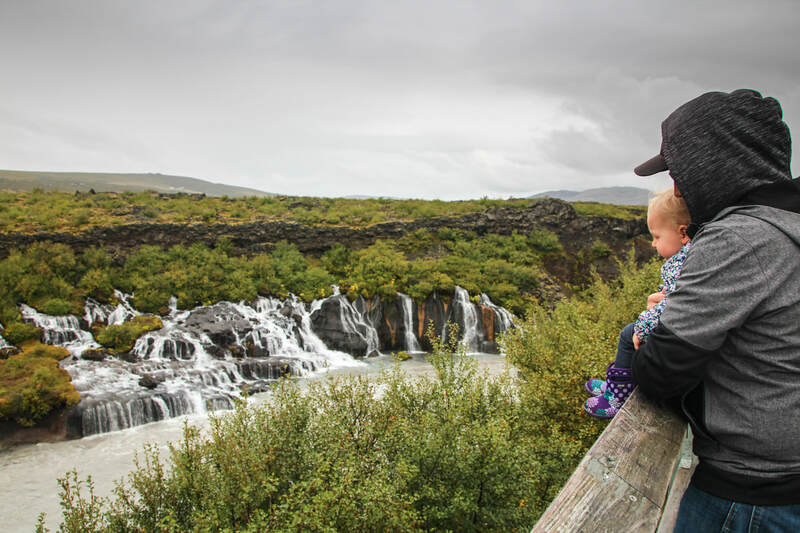 We also knew that Iceland was expensive, so we opted to pack all the diapers and wipes that we would need as well as some prepackaged food for snacks. In addition, we wanted to be prepared to enjoy the outdoors regardless of the weather which meant that we packed lots of layers, including warm jackets and waterproof footwear. To keep costs down, we drove outside of the downtown core to get our groceries. We found prices were almost double at the small grocery store along the main street compared to the Bonus (one of the local chains) we found outside of downtown. We also stocked up on some food at Costco (don’t forget to bring your membership from home!). 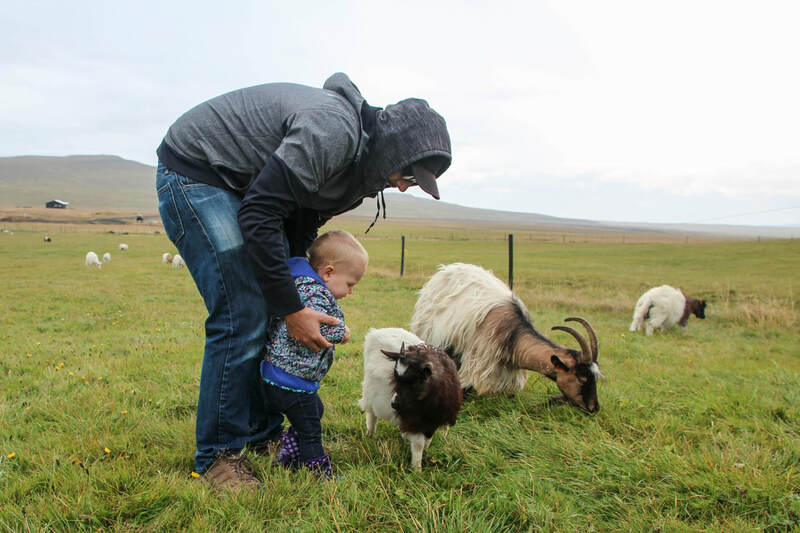 We went to a few family friendly restaurants including Reykjavik Fish and Chips and the Laundromat Café, but primarily made all our own meals and brought bagged lunches on all our day trips. Our first day was spent getting oriented around Reykjavik and visiting the iconic Hallgrimskirkja. The lineup for the elevator can get long – it only holds 8 people at a time – but the view from the top is beautiful in all directions and worth the small entry fee We also loved exploring the grounds and gardens around the church. Make sure you stop at Reykjavik Roasters right around the corner for a coffee! 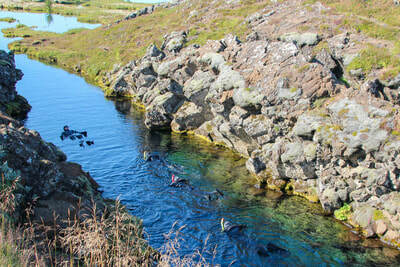 One of the things I was most excited about in Iceland was experiencing their culture of swimming. It was clear driving around the country that swimming is a favourite pastime of Icelanders - every small town we drove through seemed to have an extensive pool complex with heated indoor and outdoor pools (a comfortable 28-30 degrees year-round), hot tubs, saunas, and kid friendly features. 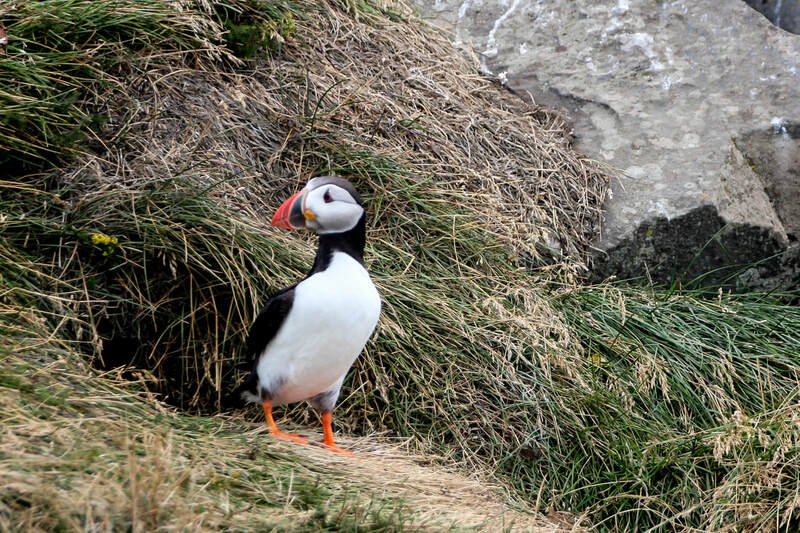 We spent a half day at Laugardalslaug, in Reykjavik, and absolutely loved the experience. There was a shallow kiddie pool, a larger pool, multiple slides for all ages, hot tubs, a “Wipeout” style obstacle course for older children, a mini golf course and beach volleyball courts. The entry fee was approximately 10 dollars per adult with young children being free. It was a great place to spend a cool and overcast morning, and you barely notice the chill in the air when you’re toasty warm in the water! 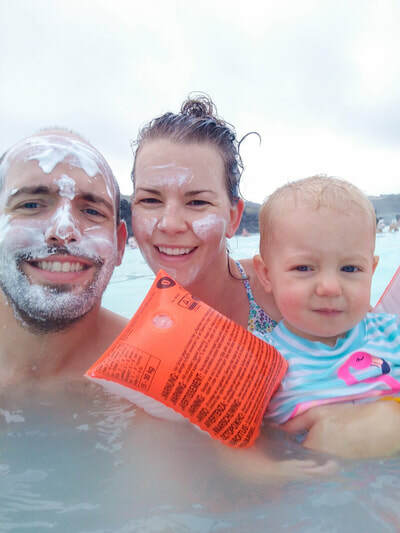 For more ideas of things to do around Reykjavik with a toddler check out our companion post here. We were lucky to have incredible weather for our day exploring the golden circle. We stopped at all the hot spots and found that despite the tour buses we never felt that the sites were overcrowded. 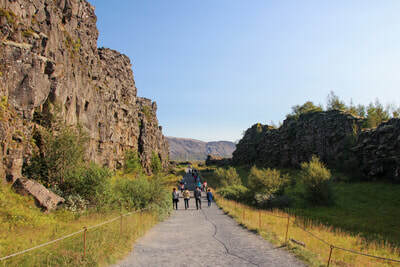 At Thingvellir National Park the paths are well marked and many are stroller friendly. We walked down in between the continental plates and along the path that brought us to Silfra where we watch the snorkelers braving the glacial water. 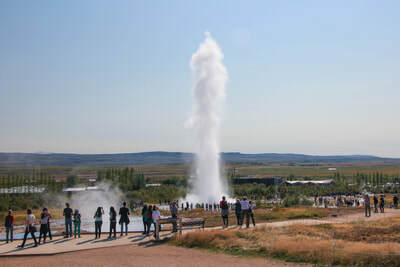 Our next stop was Geysir, my personal favourite. I loved the anticipation when the geyser (Strokkur which erupts every 5ish minutes) would erupt and trying to capture that moment just before eruption. Our toddler was having so much fun watching and taking pretend pictures that we decided to stop here for a picnic lunch. 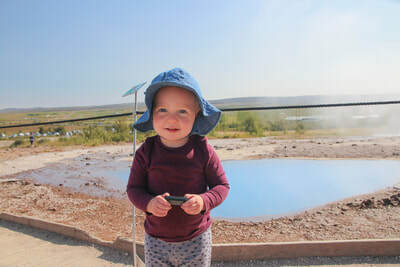 There are other dormant geysers on the property and it was fun to walk around and see them all, watching Strokkur continuously erupt from all different angles. 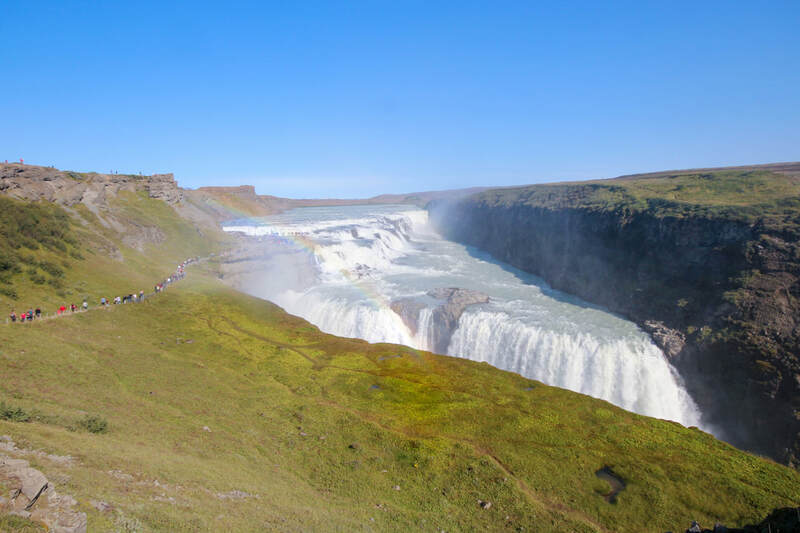 Gulfoss is just a few minutes down the road from Geysir and has both an upper and lower parking lot. The upper lot is where the tour buses park and also has a small café and washrooms. The lower parking lot saves you going down (and more importantly, up) a couple flights of stairs but it doesn’t have any amenities. Gulfoss was spectacular and we loved that you could walk right up to the edge of the waterfall and really appreciate the power of the water. On our way home we stopped briefly at Kerid Crater. It was the only site that had a small entry fee. To be honest, I would spend more time exploring Thingvellir National Park, for instance doing the hike to Oxararfoss waterfall, over stopping here. The view was beautiful but it didn’t come close to anything else we saw that day and the entry fee and ticket booth building really took away from the experience. 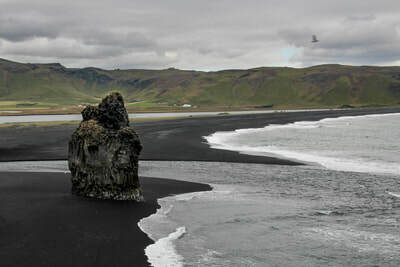 ​Our next stop was Reynisfjara Beach. The basalt columns were beautiful and rivaled Giant’s Causeway in Northern Ireland. 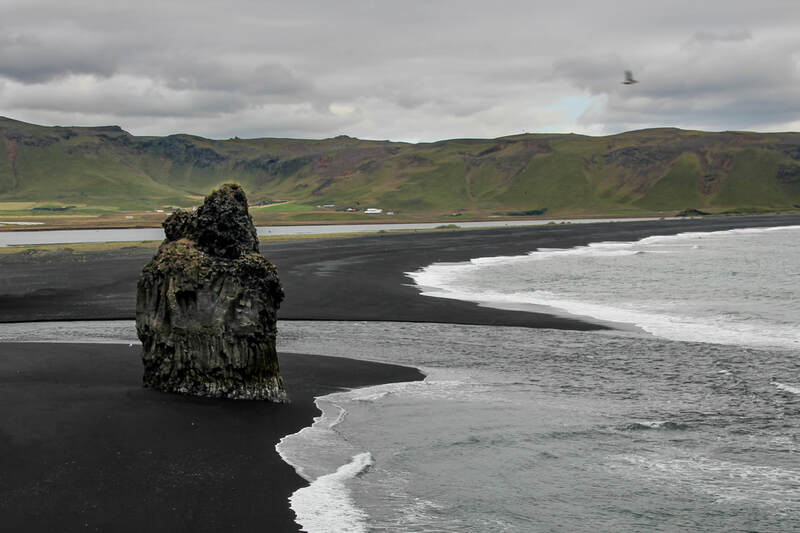 We didn’t get to fully appreciate the black sand beach since the tide was quite high and we didn’t venture too far from the main beach, but Hannah’s favourite part of the beach was the smooth black pebbles that she stuffed in every one of her pockets. ​Tip: Get an early start to the day! We didn’t have the time to go right into Vik and experience the quaint town. In hindsight, it would have been worthwhile to book a hotel in this area in order to be able to slow down and really take our time exploring. There was much more we wanted to see and not enough time! On the way back to Reykjavik was stopped at two of Iceland’s most well known waterfalls, Skogafoss and Seljelandfoss. Both were stunning and seemed to just appear on the side of the road out of no where. 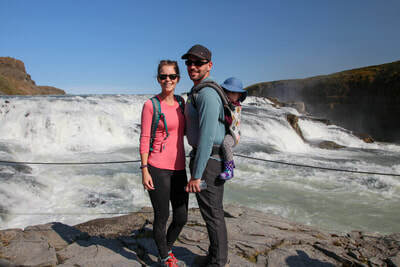 We particularly loved being able to walk behind the falls in Seljelandfoss, the perspective looking out from behind the veil of the falls at the beautiful scenery was really special. An “autumn storm”, with rain and strong winds, drove us underground into a lava tube about 45 minutes outside of Reykjavik in the town of Hveragerdi. The tour was run by “The Lava Tunnel” and had only recently opened so we knew nothing about it. The tube was created by lava flowing underground following an eruption over 5000 years ago. It’s 10 meters high and between 10 and 30 meters wide with safe stairways and good lighting throughout the walk. Our guide was knowledgeable and the eerie silence of being underground while a storm raged above us was enough to lull our toddler to sleep in the carrier. The tunnel and tour was a completely unexpected surprise and we really loved the experience. 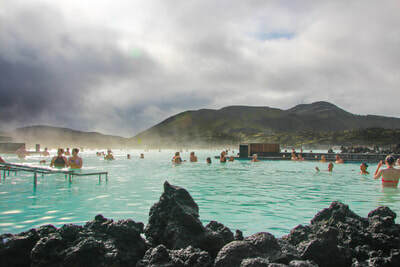 We had heard mixed reviews about the Blue Lagoon – that it was “fake” (the lagoon is actually man made with the water originating from a nearby geothermal plant) and touristy (over 700 000 people visit here every year) and that there were lots of naturally occurring lagoons throughout the country that are more authentic to visit. 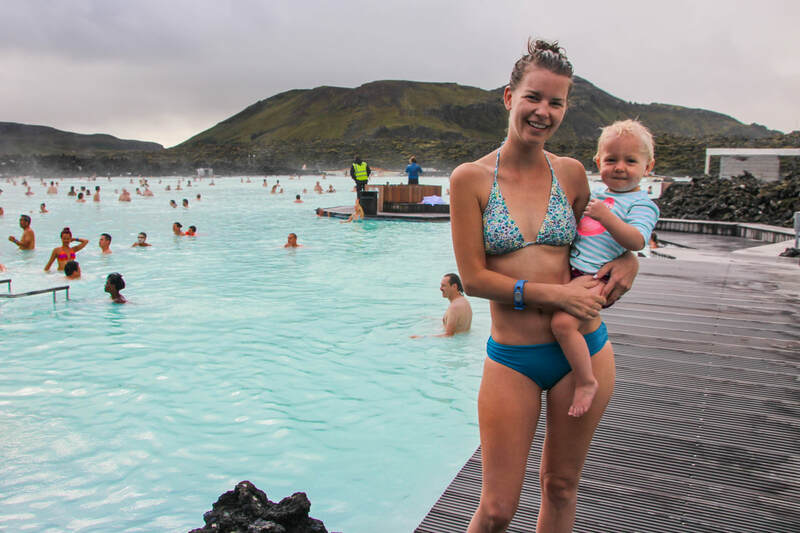 At the same time, we knew that lots of “touristy” sites are touristy for a reason and so we decided to splurge and book tickets to the Blue Lagoon anyway. I’m really glad we did. Despite the fact that the lagoon was fully booked, the water didn’t feel overwhelmed with people and there was lots of space to wade and move around. There was also no rush, you were welcome and stay as long as you wanted. 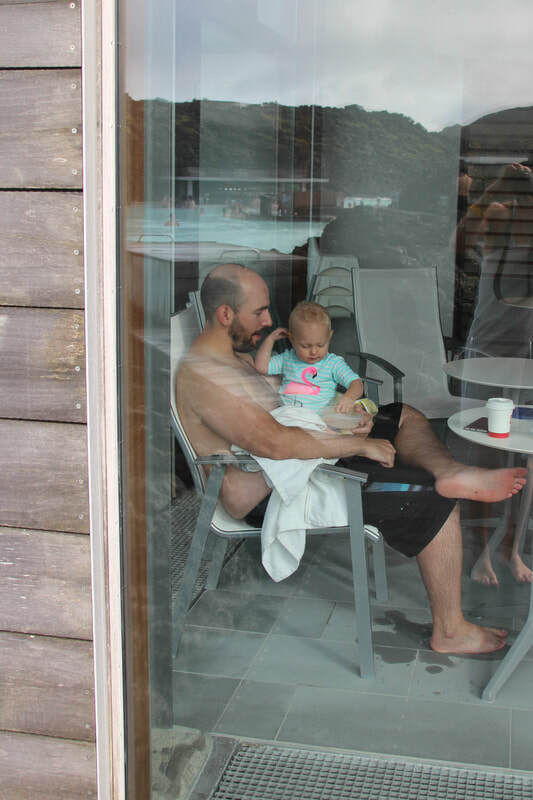 We swam around for a bit, took a break for a cup of coffee and a snack, before going back to swim again before we left. While it’s true that there are lots of other lagoons throughout the country (one we really wanted to see was this one, a 3 km hike outside of Hveragerdi but unpredictable weather kept us from attempting the hike), the Blue Lagoon is easy to access in all weather, with good amenities and is family friendly. Tip: Book your tickets well in advance. We opted to go first thing in the morning so that we could stay as long as we wanted without feeling rushed. 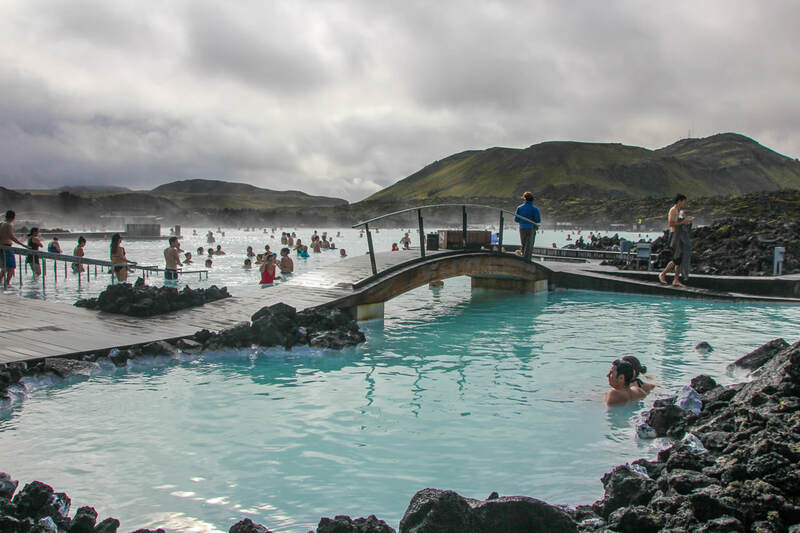 Note that children under 2 are not allowed to enter the Blue Lagoon and children under 8 must wear arm floaties. The staff was most concerned about young children ingesting the water which is high in silica. We made sure that Hannah didn’t get her mouth close to the water. On our last full day in Iceland, there was on and off rain with some wind. We had initially planned to head up to the Snaefellsnes Peninsula but changed our minds and stayed a bit closer to Reykjavik. We did a bit of research and settled on exploring the area around Bogarnes. The drive was stunning, as all the drives in Iceland were. Our first stop was for coffee and a snack at Geirabakari Kaffihus, which was featured in the movie The Secret Life of Walter Mitty. The bakery had a beautiful view of the bay area and the bridge you drive across to get to the peninsula and the sandwiches, baked goods and coffee were all fantastic. We also visited the family run Haafel Goat Farm, did the troll walk in Fossatun (the trolls were underwhelming but there were some beautiful views along the walk), and visited the lava waterfalls - Hraunfossar - just outside of Reykholt. We departed the following morning, returning our rental car bright and early and taking the shuttle to the airport for the next leg of our trip, Ireland! Iceland exceeded our expectations. The weather was predictably unpredictable but everything we saw was beautiful regardless. 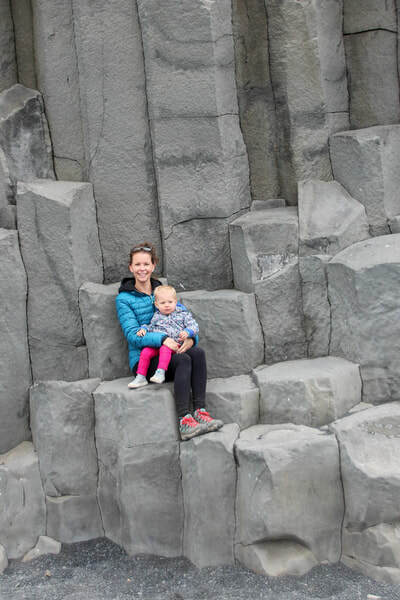 We loved the vibe of Reykjavik - relaxed and casual - and we loved that our vacation followed along that same vein. We slept in more and planned much less than we ever have for a vacation and enjoyed it immensely! 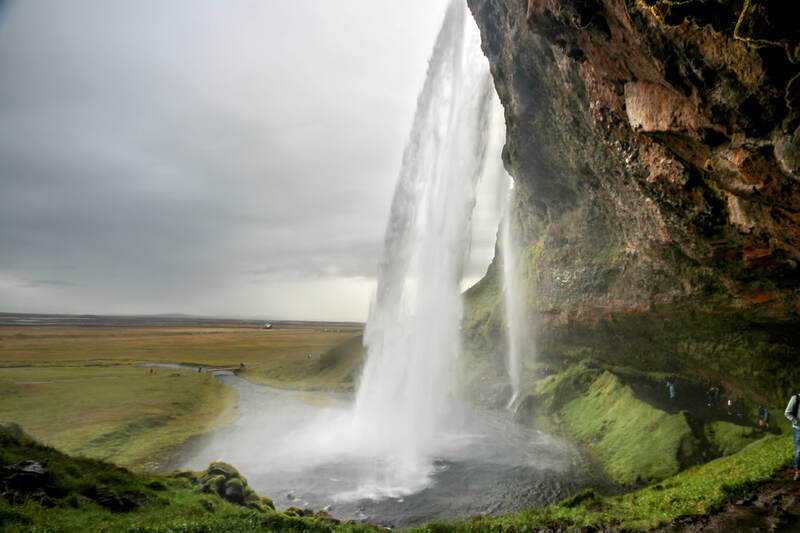 Planning a trip to Iceland? Check out our companion posts for more information!